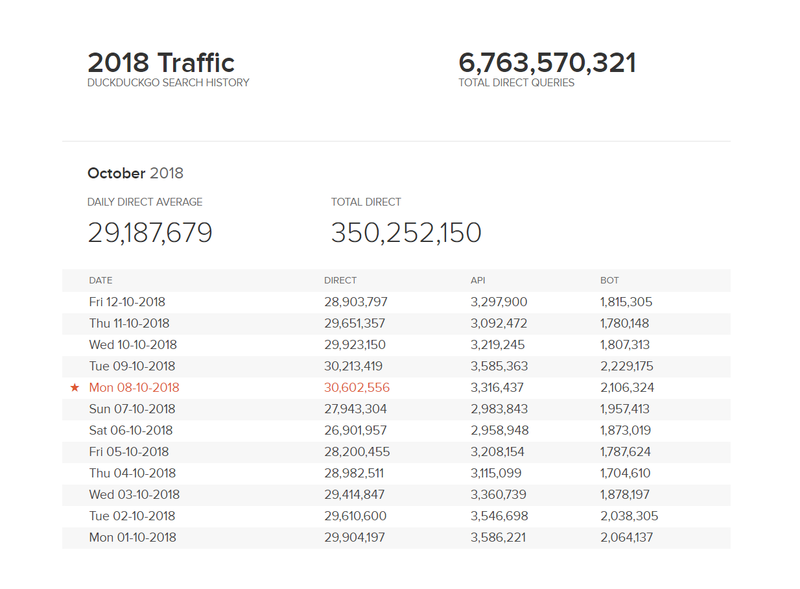 DuckDuckGo (DDG) has recently touched a new personal record and hit 30 million direct searches daily. That means a 50% increase as compared to last year's record i.e, 20 million searches daily. 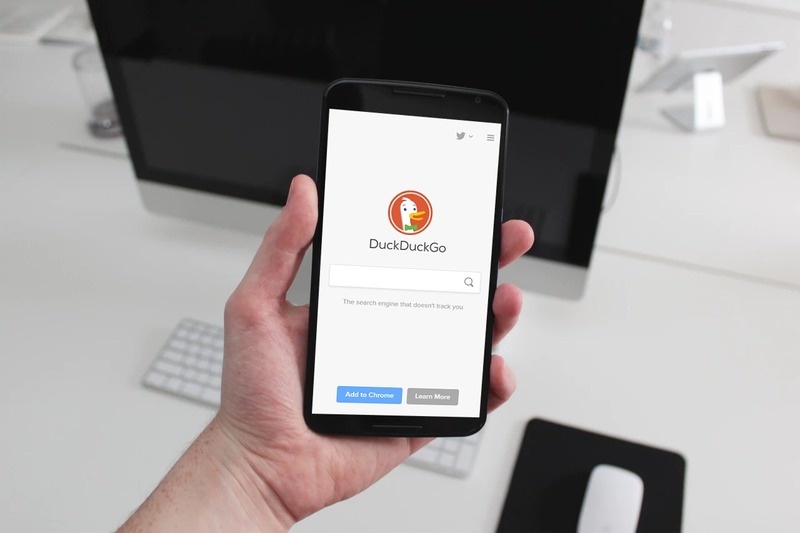 DuckDuckGo has taken the initiative to consider the user's privacy at first, it has publicized its traffic data. For your reference, you can see the chart below where it is touching 30 million direct searches on 10 October 2018. It was done soon after Google announced a security breach in their API system, although, both the events may not be related directly, some coincidences are too interesting. So, there are chances that Google has lost the trust of a number of users because of the lack of transparency and they have decided to switch to a secured alternative. Because of its dedication to transparency and user's privacy, investors have also taken interest in DuckDuckGo that resulted in $10 million in funds this summer. Still, DuckDuckGo has no comparison with Google as Google has more than 3 billion searches daily. But DDG's overall growth rate is steady. 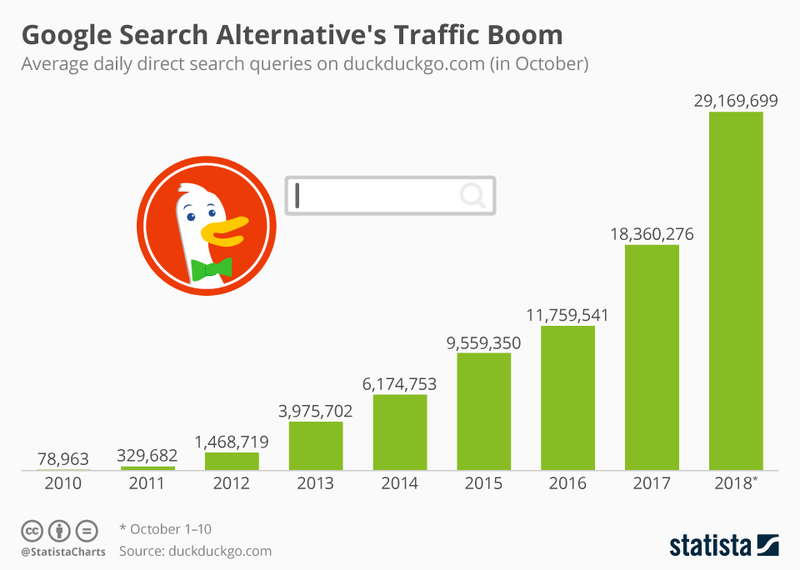 Although, DuckDuckGo took 7 years to hit 10 million daily searches, but it's growing by 10 million daily searches. It could be an alarming situation for other search engines that are less secure as the users are now getting aware of their insecurity on them. The dedication of DuckDuckGo on its rules is really appreciative and it is now bringing them the positive and fruitful results.